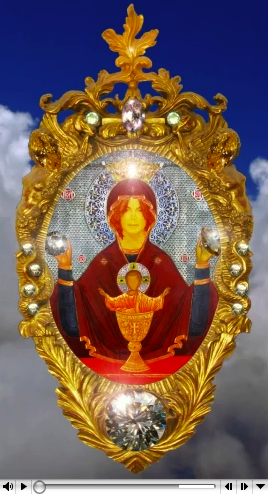 »Video Icon«, 2008 by Stas Cheprunov. »Rotating pavilions complex«, 2007 by Lea Lagasse. “Leh”, 2003 by Gyan Panchal. 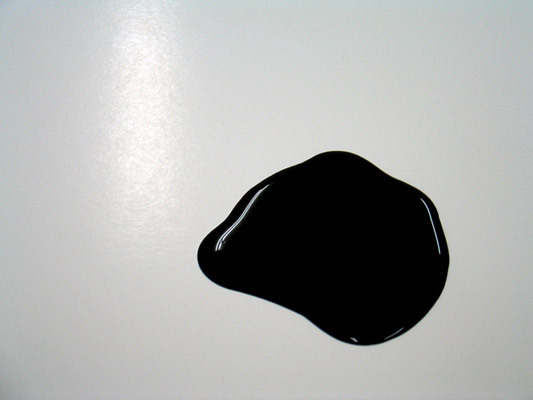 Crude oil, 1 liter. 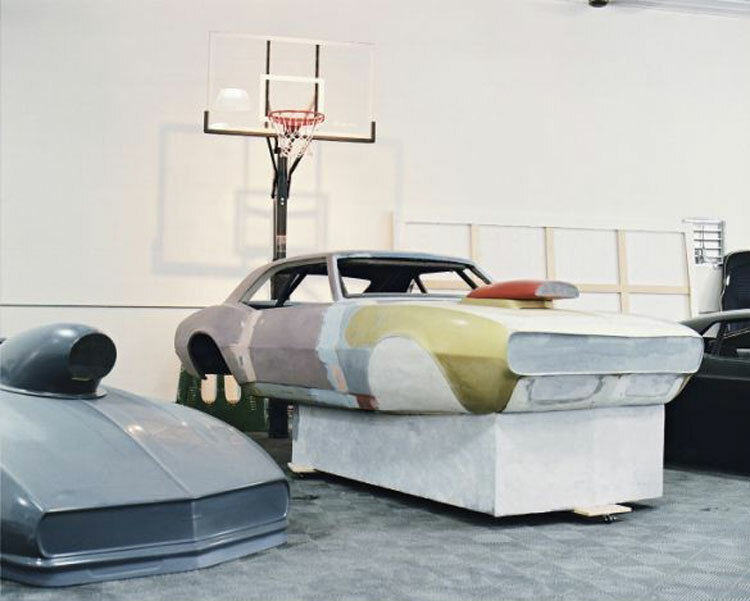 “Environment transformer“, 1968 by Haus-Rucker-Co. Appliances that change sensory impressions for a limited time in a visual and acoustic way. 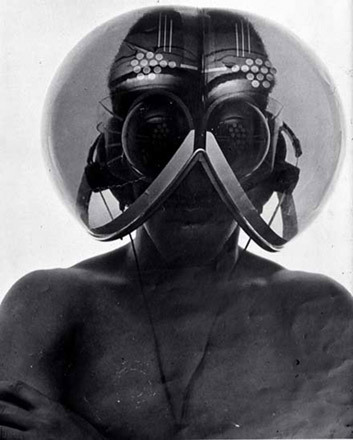 “Topshot helmet” (Video), 2006–2007 by Julius von Bismarck. “Elf/Elf”, 2006 by Gottfried Bechtold. 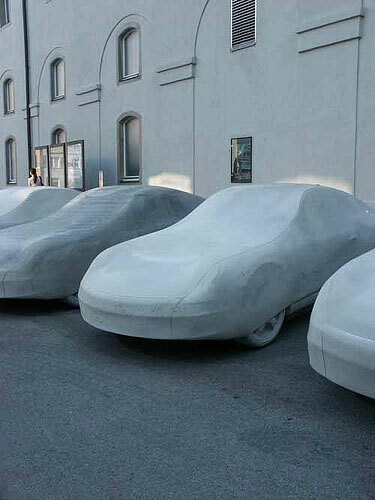 Eleven models of a Porsche 911 covered with a protective cloth casted in concrete. 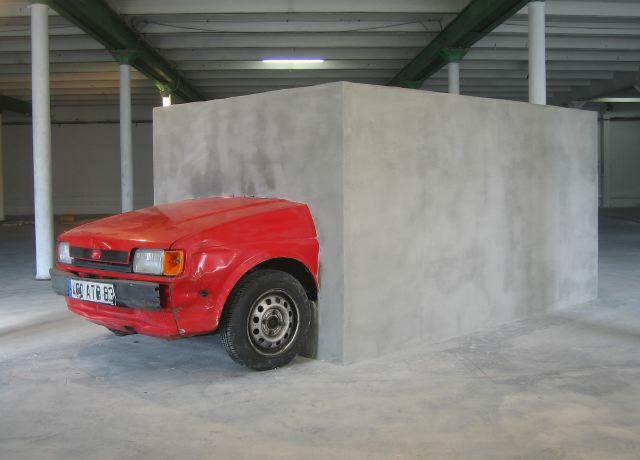 »Pression Accoustique, Essai N°1«, 2009 by Fouad Bouchoucha. Kota Ezava singing »The Star-Spangled Banner«, the national anthem of USA. From the audio guide of OURS: Democracy in the Age of Branding. 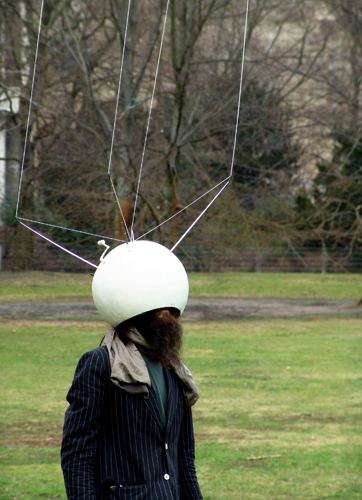 “Live Subtitles”, 2005 by Gareth Long. Installation with video, camera, microphone, computer, speech recognition software, printer, paper- The installation used voice recognition software to cull the voices of the spectators, turning their speech into live captions superimposed on a live video feed. “My most favorite art”, 2004-2008 by Maria Anwander. Title signs. 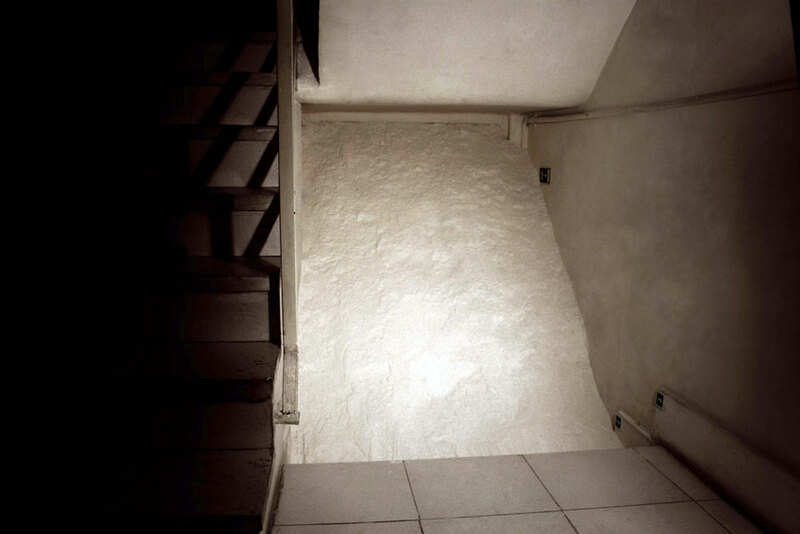 “A Huge Amount of Enough” 2008, by Barbad Golshiri. 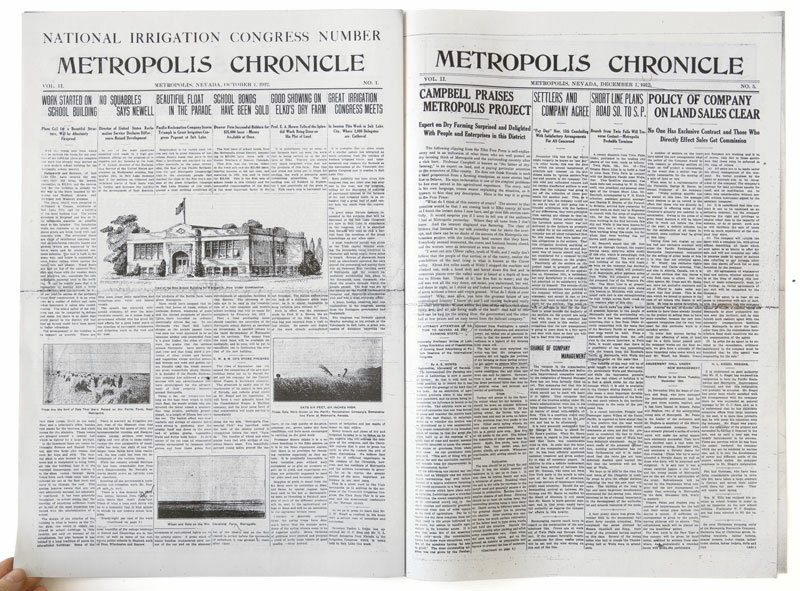 »RECLAMATION«, 2008 (A republishing of selected covers of the Metropolis Chronicle, the newspaper of Metropolis) by Kristin Posehn. 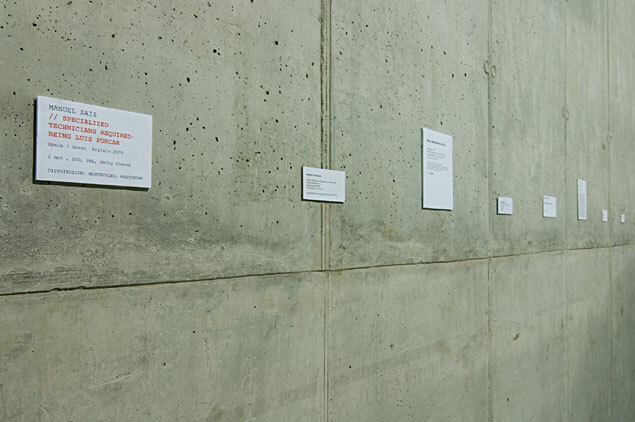 “Oxygenator“, 2006-2007 by Joanna Rajkowska. 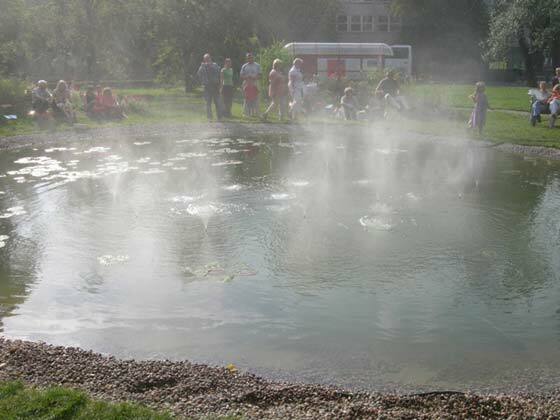 Artificial pond with oxygen fountains. »Theatrum Orbis Terrarum« is an ongoing worldwide investigation and an attempt to rethink existing representations of the world. By Marjolijn Dijkman. 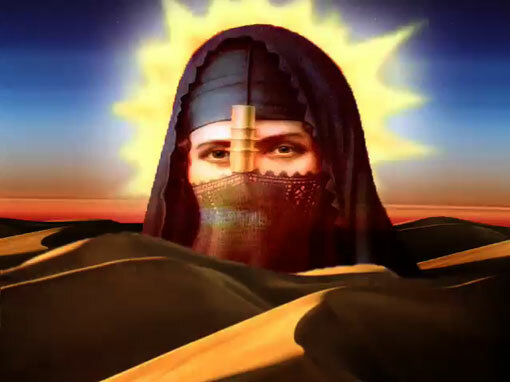 “Woman in the dune”, 2007 from the series “Traditions” by Nicolas Djandji.Video. »A Colour-Coding of Partch’s Ptolemy Keyboard Based on his Chromelodeon I«, (2008). 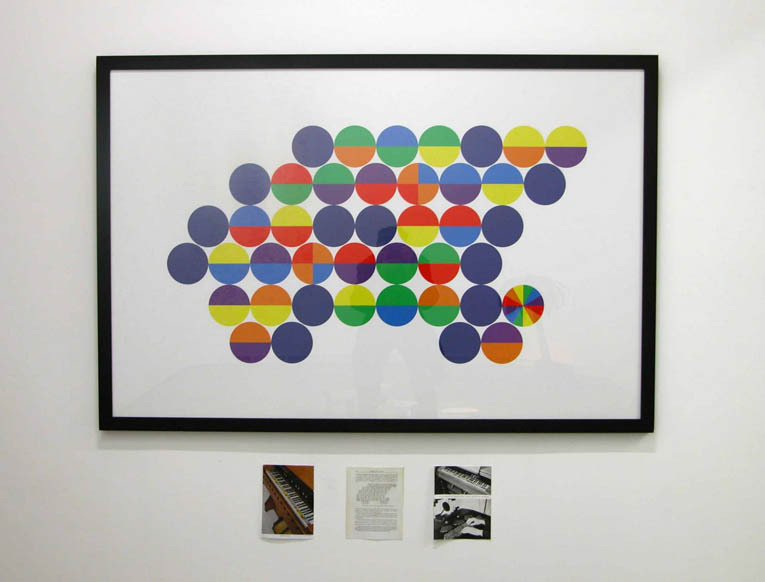 Digital print applying the arbitrary colour scheme used by the American composer Harry Partch on the microtonal keyboard he constructed, called the Chromelodeon I, to his first-ever constructed instrument, the Ptolemy. The only record of the Ptolemy is a black & white photo. The colour print represents one “octave” (comprised of 41 distinct notes) of the Ptolemy keyboard as it may have appeared. The original instrument was misplaced by Partch sometime in the 1940s. By Craig Leonard. “si j’étais un charpentier”, 2008 by Briac Leprêtre. Five Words in a Line. »Five Words in a Line«, 1930 by Gertrude Stein.